You are currently browsing the tag archive for the ‘Tiki drinks’ tag. Tiki Sundays are fun, but maybe even more so on a long weekend. After enjoying a Jet Pilot (yum!) 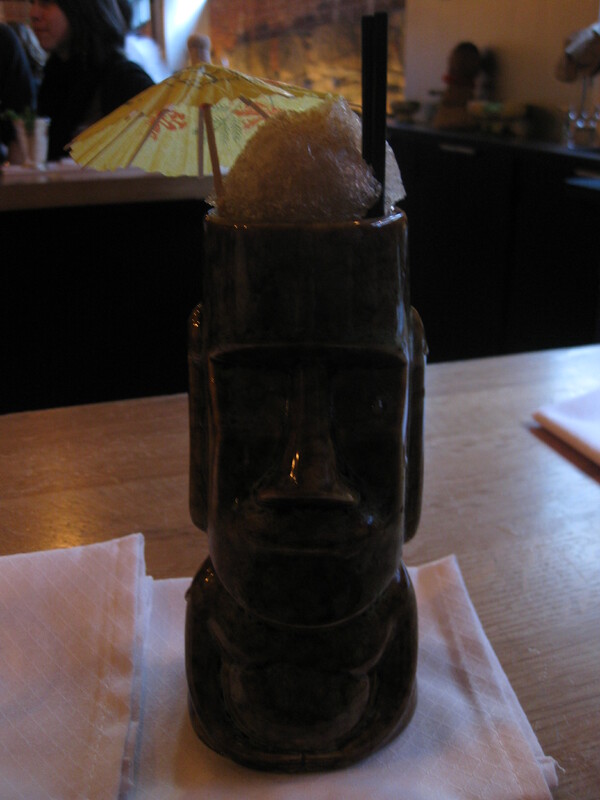 I asked Joe for something that was herbally, and Tiki-ish. What he delivered can only be described as total deliciousness—the Chartreuse Swizzle is herbally, sweet and tart, simple, yet complex. Swizzles have been enjoyed since the 18th century and traditionally are made with rum, fruit juice like lime, pineapple or orange, and a flavored sweetener like grenadine or falernum. The rum swizzle is often referred to as the national drink of Bermuda. I have a foggy memory of visiting a place called the Swizzle Hut while on a high school trip to Bermuda; and I think I may have even bought a t-shirt that said something to the effect of “I got wrecked at the Swizzle Hut.” The rum variety is good, but this Chartreuse variation is amazing. 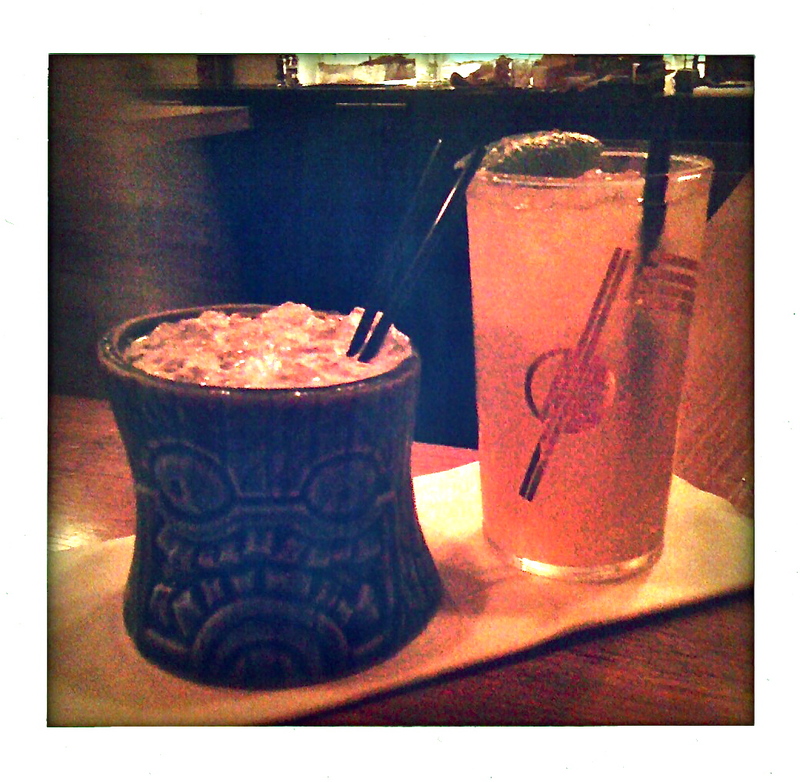 Here’s to Chartreuse in a swizzle and another fun Tiki Sunday. Cheers!